New approach to getting healthy & losing weight! Ladies, I’ve followed these 5 Bible-based principles for 5 years now and have lost weight and kept it off! I enjoy really satisfying meals and “healthy” cookies while staying trim! 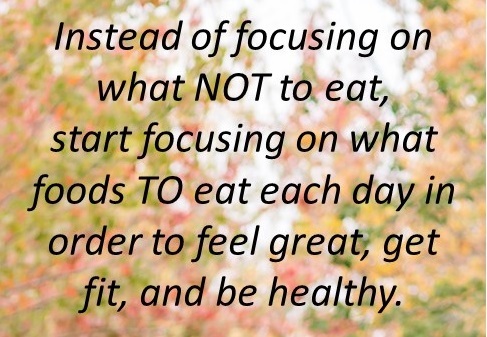 Determine to change your approach to eating for the rest of your life! Each day, decide to eat food that will make you healthy so that you can live the abundant, fruitful life God intends! Instead of thinking about what you can get away with eating (the unhealthy stuff), choose to eat foods that will MAKE YOU HEALTHY and eliminate foods that make you unhealthy. P.S. I cut almost all refined sugar and flour out of my diet 5 years ago and this was transformational! And the cool thing is, I don’t even crave it anymore at all! Get back to eating food the way that God created it, without adding refined sugar, stripping out healthy fiber or adding chemicals we can’t pronounce! Humans continue to think they’re smarter than God! We take the food God created and we mess with it! Cut out processed foods and refined foods. Start eating whole foods as much as possible. 1 Corinthians 1:19-20: “I will destroy the wisdom of the wise, and the discernment of the discerning I will thwart.” Where is the one who is wise? Where is the scribe? Where is the debater of this age? Has not God made foolish the wisdom of the world? The minute you catch yourself thinking about eating something unhealthy, realize that’s the enemy trying to destroy you again and reject him with a smile of victory on your face! Be proactive and have healthy snacks prepared in advance for those times when the devil tempts you to snack when you’re bored or looking for comfort. Take care of your body by getting moving!! God didn’t design Adam and Eve to sit at a desk 8 hours a day and on a couch for another 8 hours a day! Determine to exercise 4- 5 days a week.